IRVINE, Calif.--(BUSINESS WIRE)--Heed the prophecies, heroes—the newest front in the battle for the fate of Sanctuary will soon open! 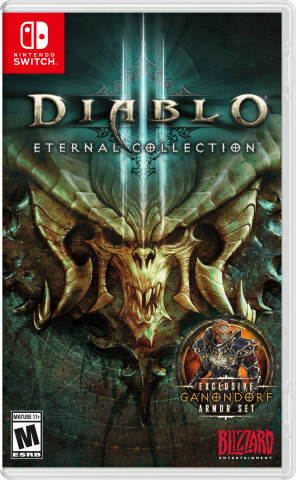 Diablo III Eternal Collection, the definitive version of Blizzard Entertainment’s acclaimed action RPG, arrives for Nintendo Switch™ on November 2, giving a whole new generation of gamers the opportunity to face down the horrors of the Burning Hells. Eager adventurers can secure their digital pre-orders starting today through the Nintendo eShop for Nintendo Switch.